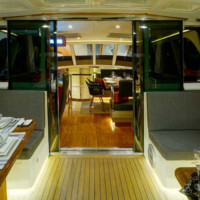 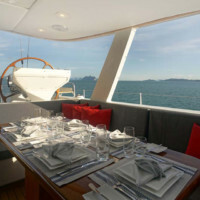 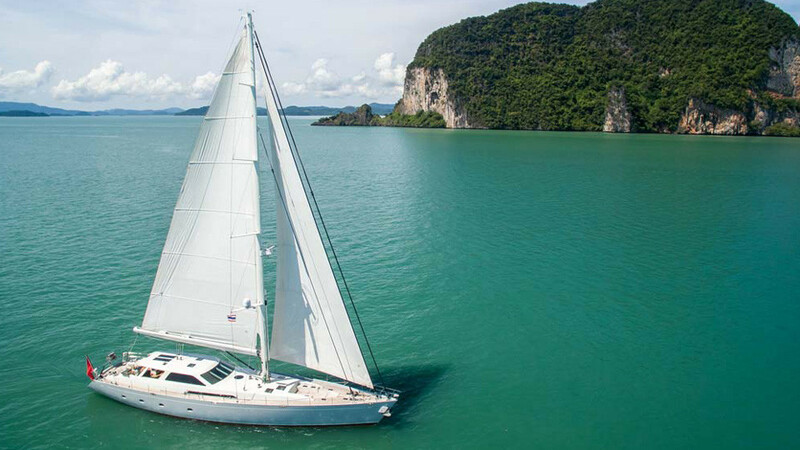 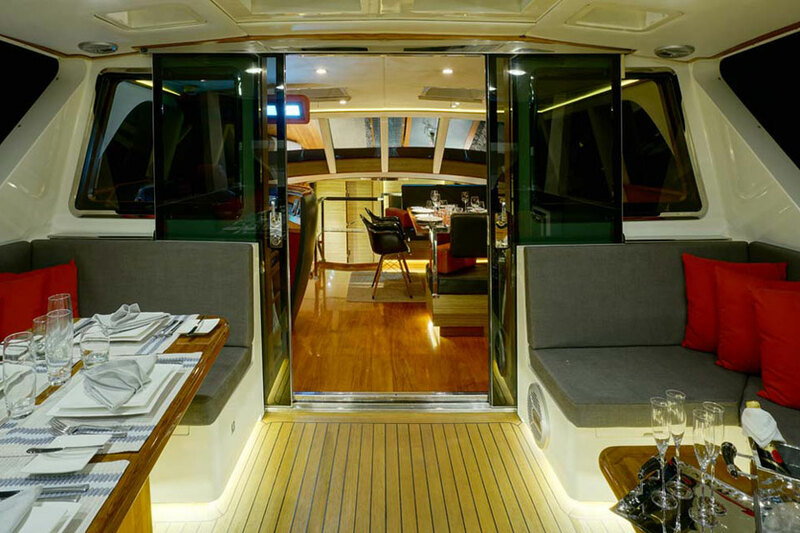 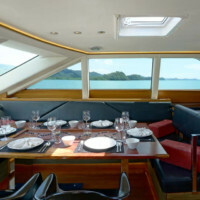 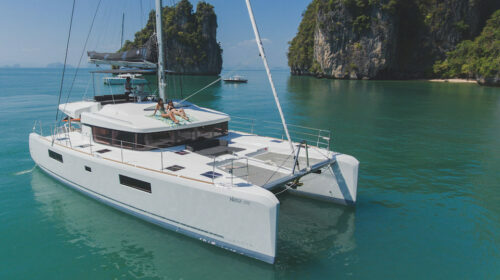 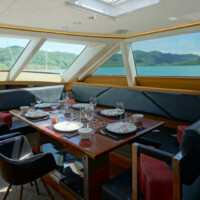 This Sparkman & Stephens 104 is available for private yacht charters in Phuket. 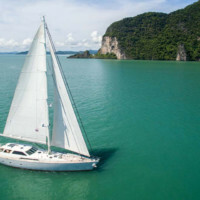 Superyacht Charter Phuket with Boat in the Bay. 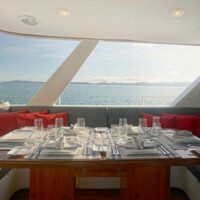 You will like this superyacht for her amazing design, excellent crew team, and comfortable sailing. 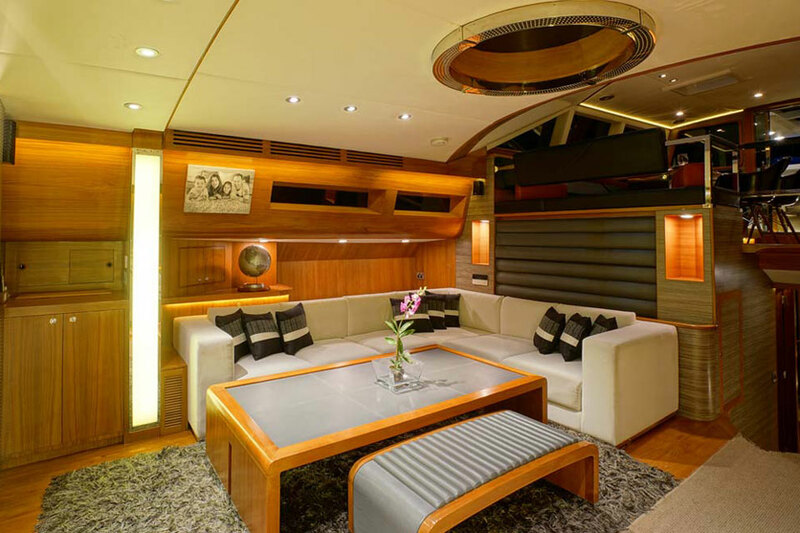 She offers high standards of service and state-of-the-art technology, beautiful and flawless interiors specifically meant for an entire family or group of friends to lounge and enjoy. 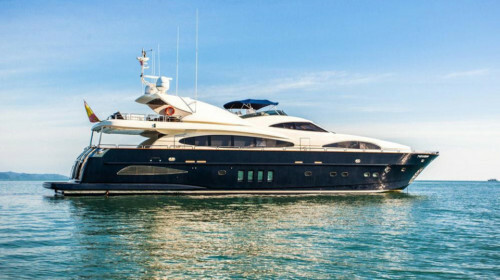 Classified as a superyacht, she accommodates a total number of 40 guests on a day charter while 8 guests can stay overnight in her 4 cabins. 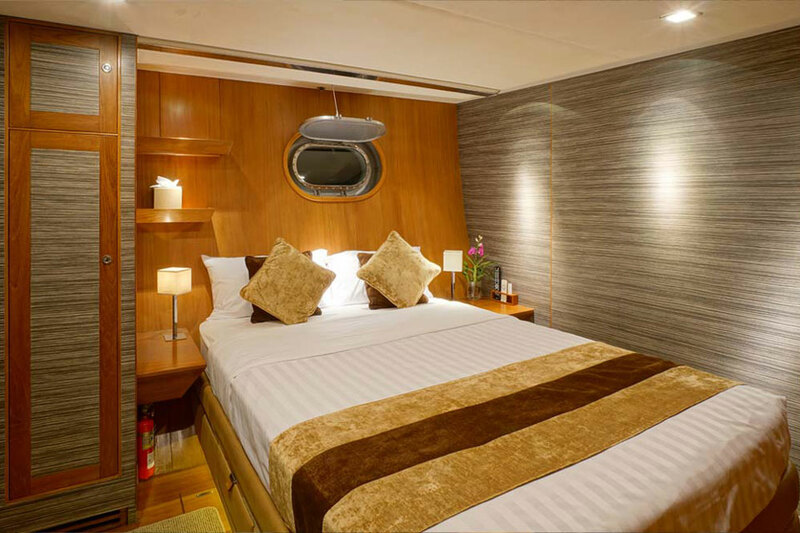 The cabins are located on the lower deck, with the master suite being the most impressive. 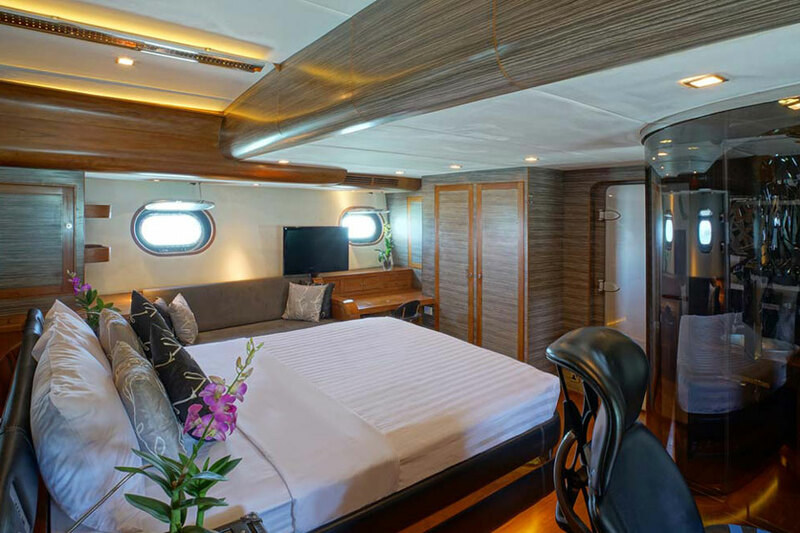 It features a king-size bed, a mini library area with a sofa and bookshelf, and a sophisticated en-suite bathroom with a toilet and an elegant wooden bathtub. 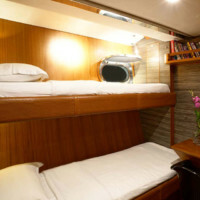 The smaller cabins feature queen size beds and double beds, as well as entertainment systems that include flat-screen TVs and DVD players. 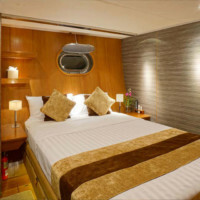 The interiors are exquisitely decorated with modern home accessories that make the cabins seem like luxury hotel rooms. 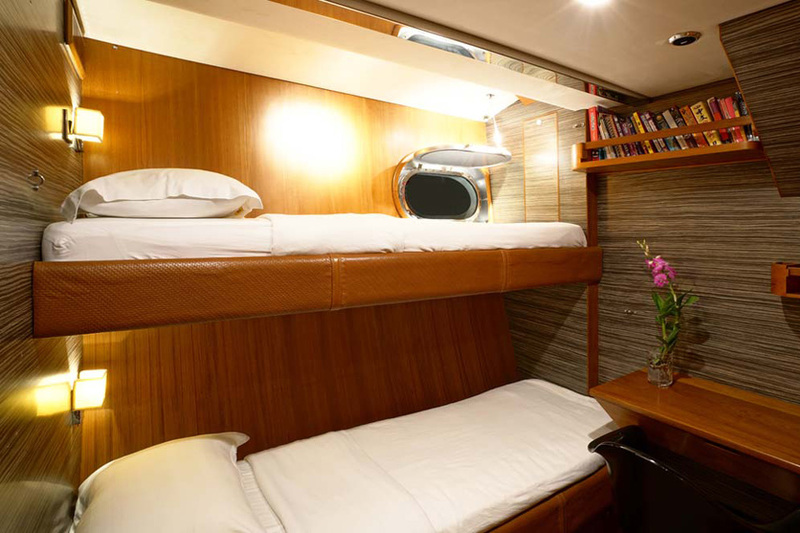 The mid deck saloon is impressive with its mini den of two super comfortable seats and mini library, a large entertainment system and comfy sofas, and an upper loft that features a small dining area. 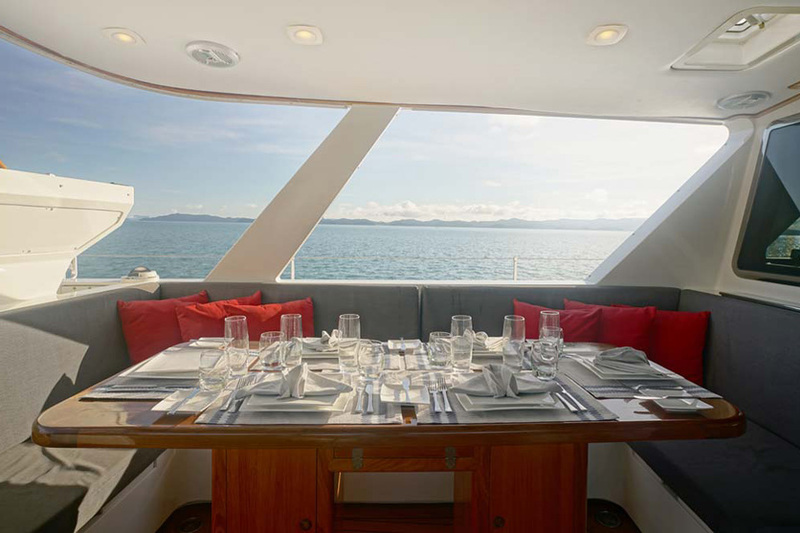 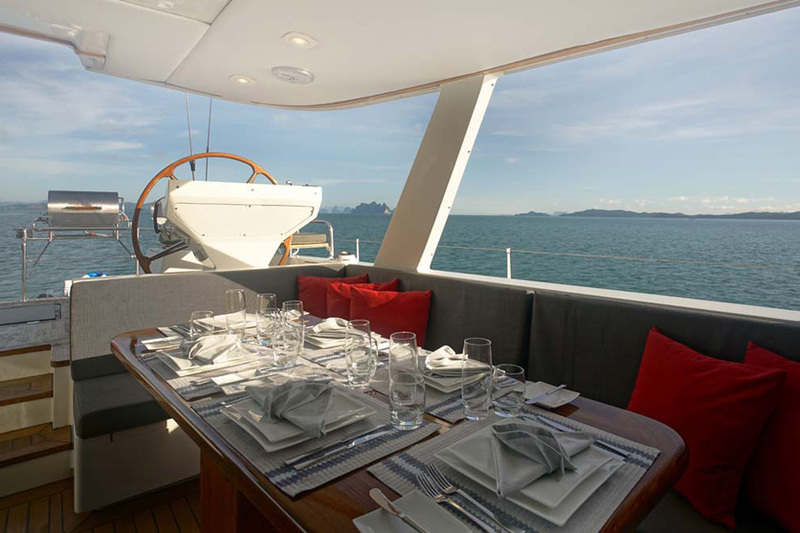 Alfresco dining is also possible on the upper deck, along with several lounge areas that make the yacht simply perfect for some much-needed relaxation. 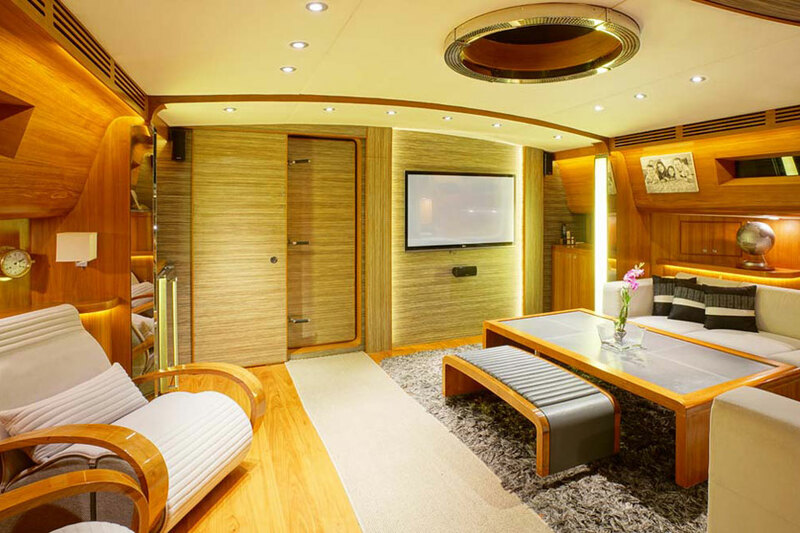 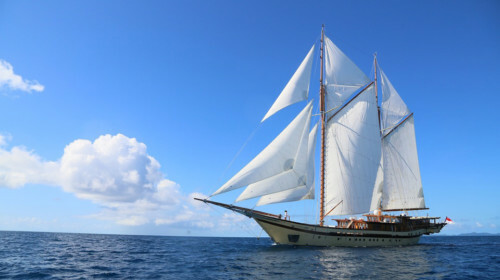 The Sparkman & Stephens sailing yacht makes for a beautiful and luxurious floating home. 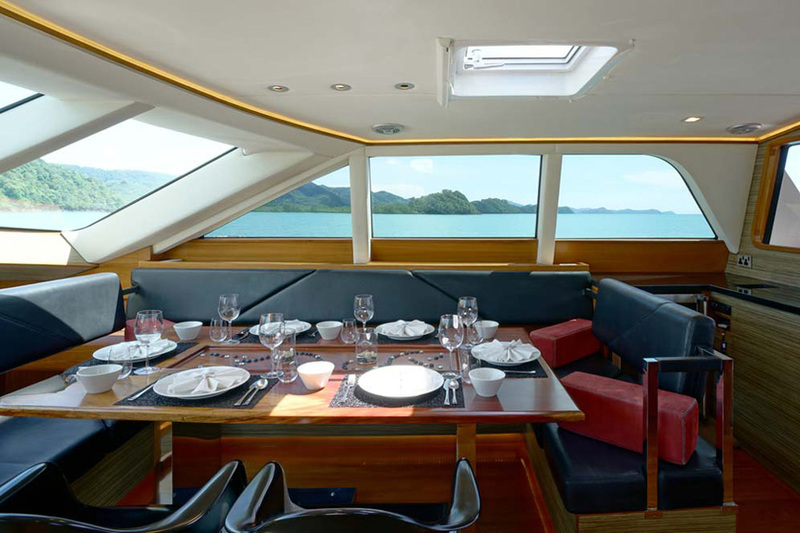 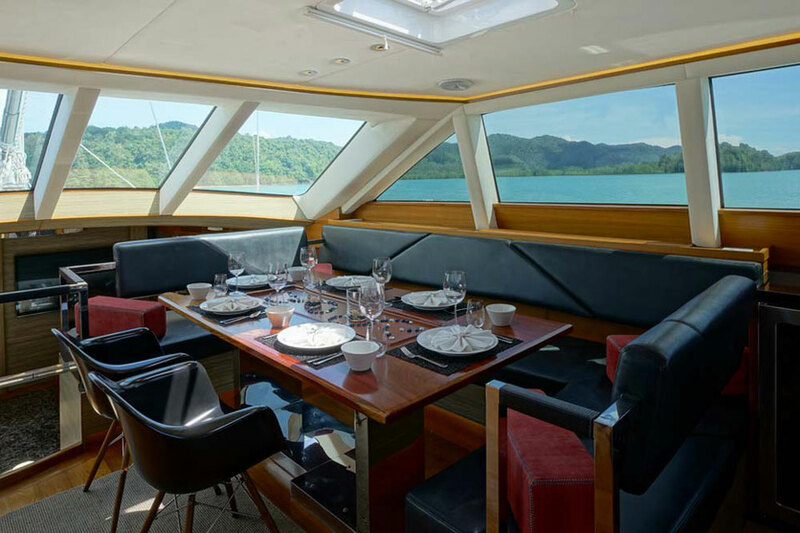 With plenty of space to lounge around, impressive cabins, and a wide range of water sports activities, chartering this yacht is a perfect way to have an unforgettable tropical vacation in Phuket and beyond. 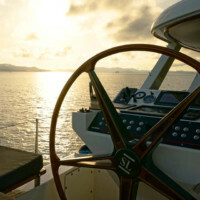 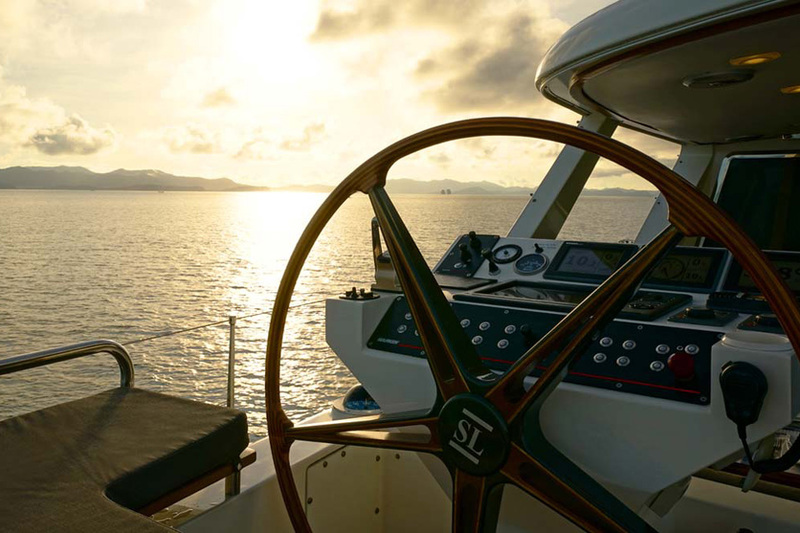 Learn more about luxury yacht builders Sparkman & Stephens at their website. 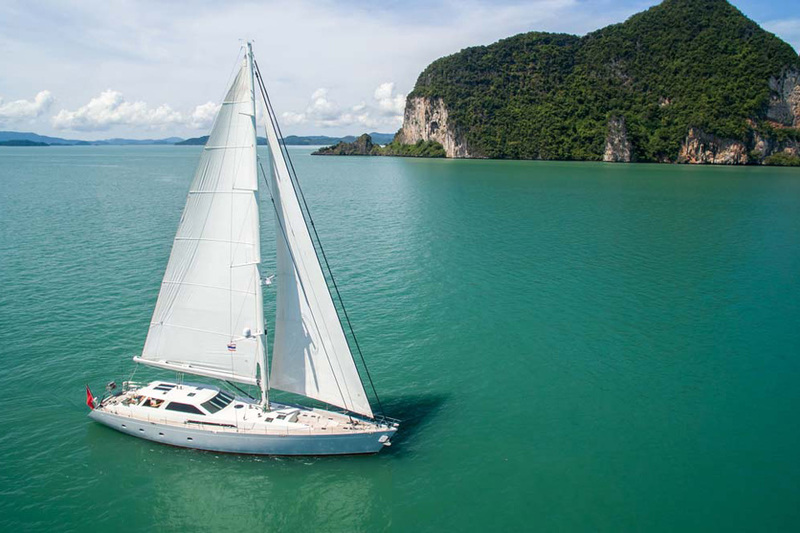 Contact Boat in the Bay today for charter inquiries about this Sparkman & Stephens 104 and other superyacht options around Phuket.